I am Shawn Christopher Mooney. This is my life. I write about Napa, Napa Valley, Wine, Wineries, Food, Tasting rooms, Restaurants, bars, pubs, vineyards, and life in general in Napa Valley California, but mostly wine. Follow me on Instagram, Twitter, and Tumblr @shawndrinkswine. Always travel with your own wine. Repeat: Always travel with your own wine. Recently my husband had to attend a 4 day Leadership Seminar in Vegas. The company booked him a room at The Venetian and paid his air fare. I was not about to pass up the chance to tag along for the price of one ticket to Vegas and an albeit unnecessary but highly desirable room upgrade. 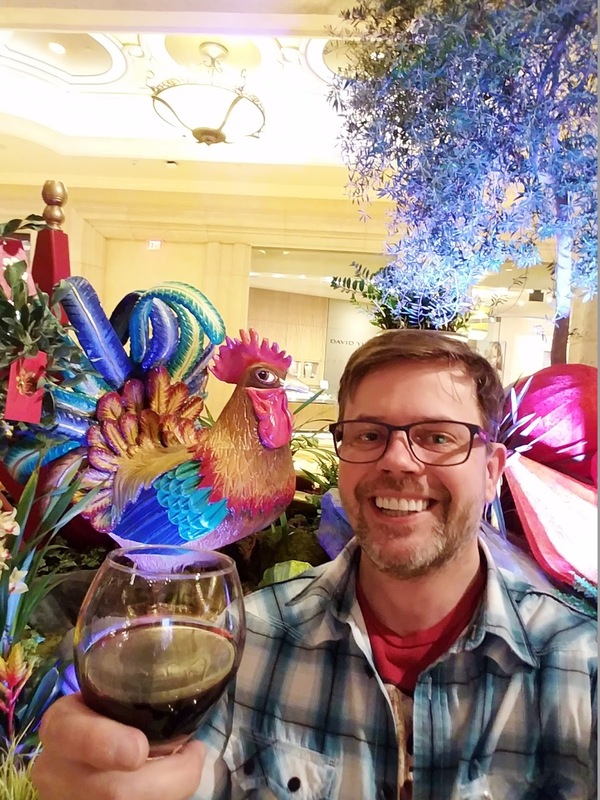 The Venetian boasted a "Wine Lover's Experience" with the many restaurants by celebrity chefs offering an impressive selection of wine by the glass. I was stoked. I was giddy at the anticipation of eating and drinking my way through the resort. Shawn was trapped in meetings and lectures during the days but had evenings free to spend with me. 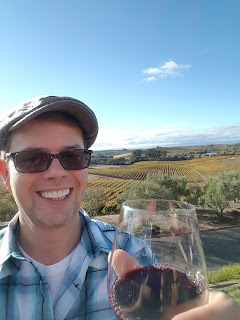 I haven't posted to this blog in awhile so I thought I'd explain my absence in a post before returning to wine. The Pear Southern Bistro is one of my favorite lunch spots in Napa during the warmer months. 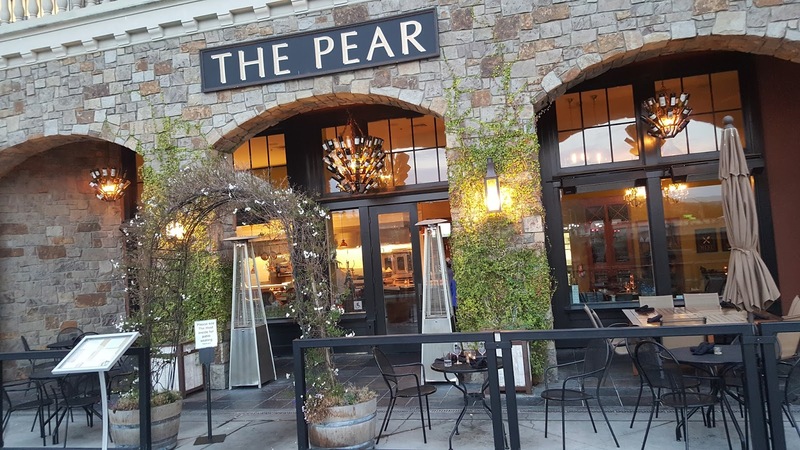 We love sitting on the patio with a bottle of wine and having a leisure paced lunch. The staff is friendly and accommodating. 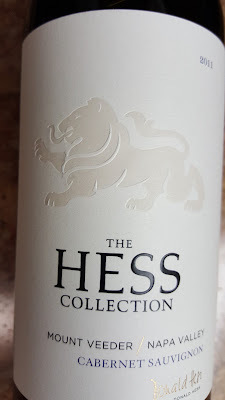 It's no secret that I LOVE a good cab and The Hess Collection has quite a few. The Mount Veeder Napa Valley Cabernet has proven to be a consistently delicious one for me. I've tried both the 2011 and the 2012 so far and am impressed by both. This is my current favorite red blend. 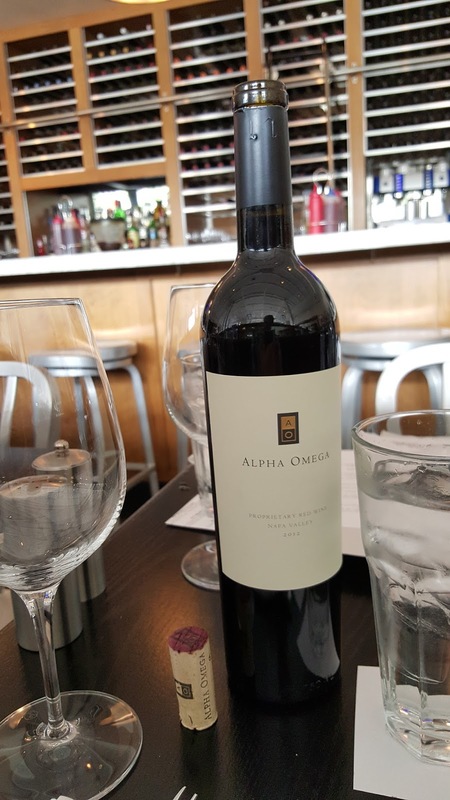 I can't believe it took me so long to try this Proprietary Red Wine from Alpha Omega. It truly is a delicious wine that seems to get better with every sip. 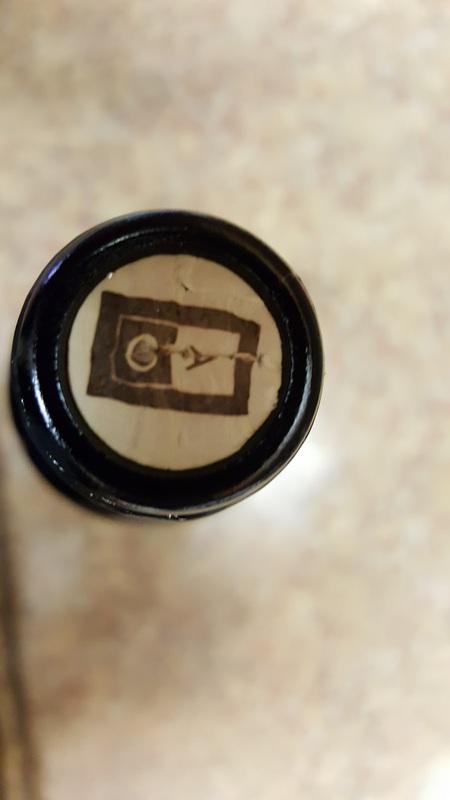 I love end printed corks. 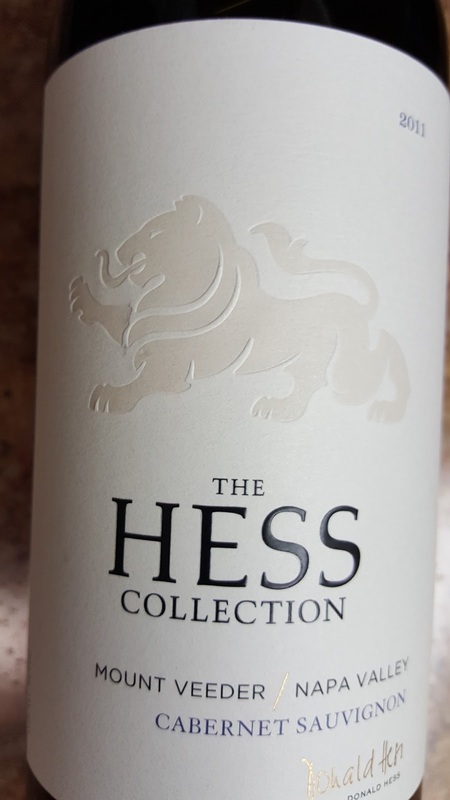 A visually attractive wine that is a very dark, deep garnet red with muted touches of purple and fuscia. It smells of dark chocolate and spices with notes of leather and tobacco. Shawn is an artist, an author, and a designer. Currently a wine enthusiast. Shawn Christopher Mooney. Simple theme. 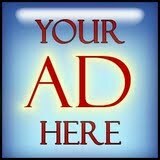 Theme images by funstickers. Powered by Blogger.